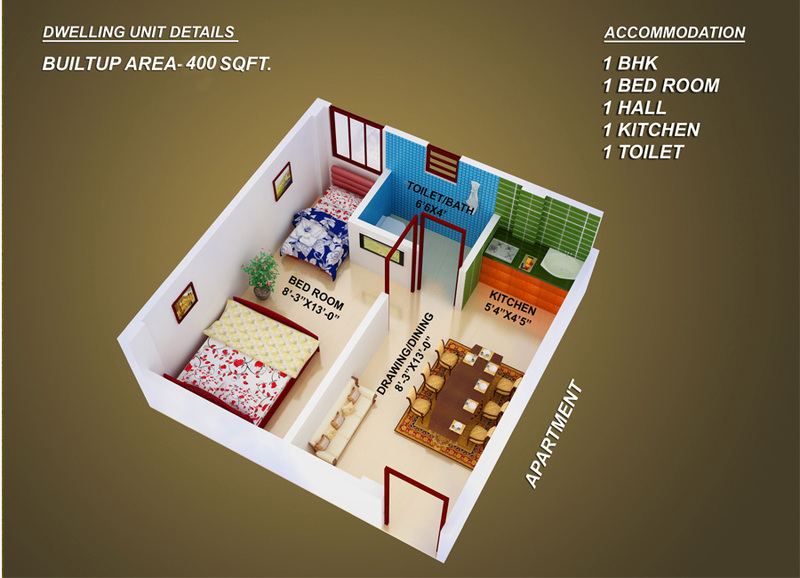 As the name suggests, this is a small 1 BHK flat of 400 sft in all. 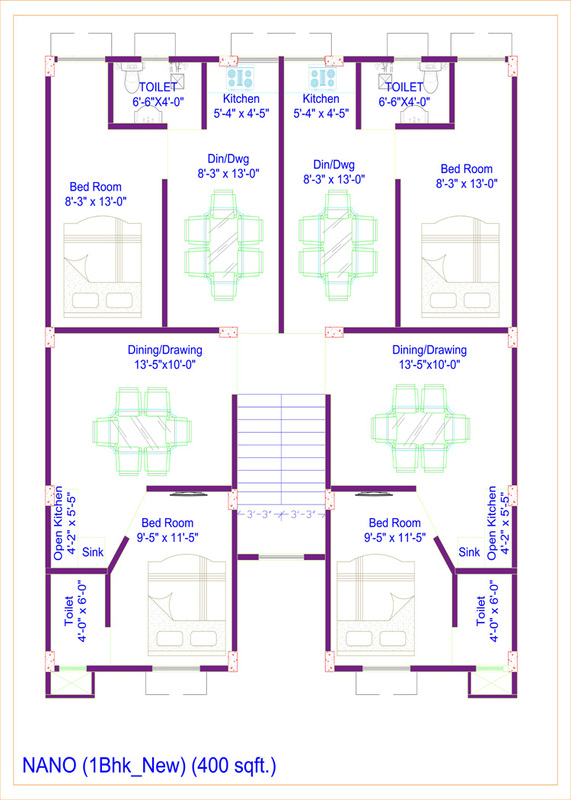 A unit feature of the flat is it can accommodate a single bed apart from a king sized bed in the bedroom without cramping you for space.A sufficient unit for a small family and affordable too. Light on pocket but packed with features, it proves to be an ideal home in place of a rented one.